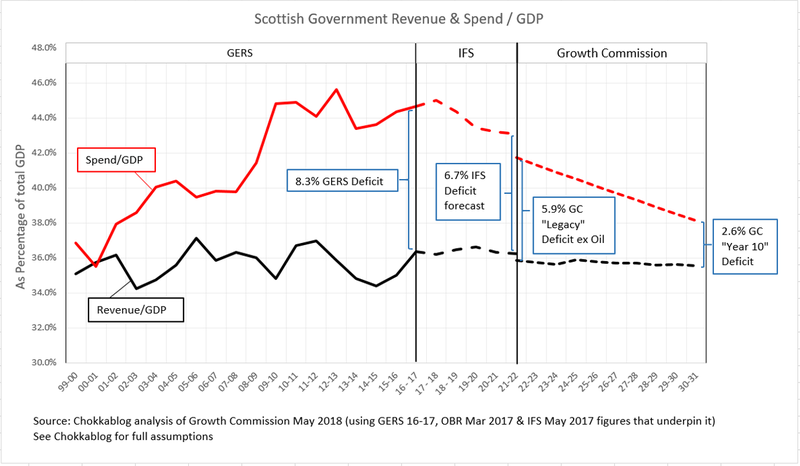 I've been quiet on this blog recently - here's why. 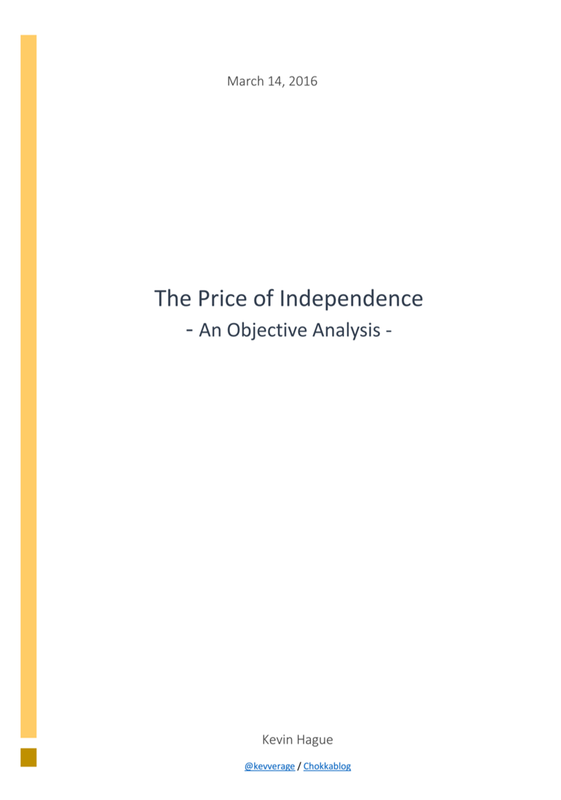 It offers a very carefully constructed, respectful but thorough analysis of the Growth Commission's output. 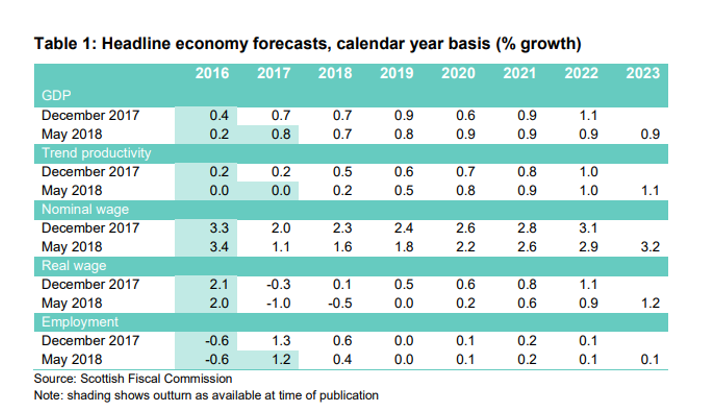 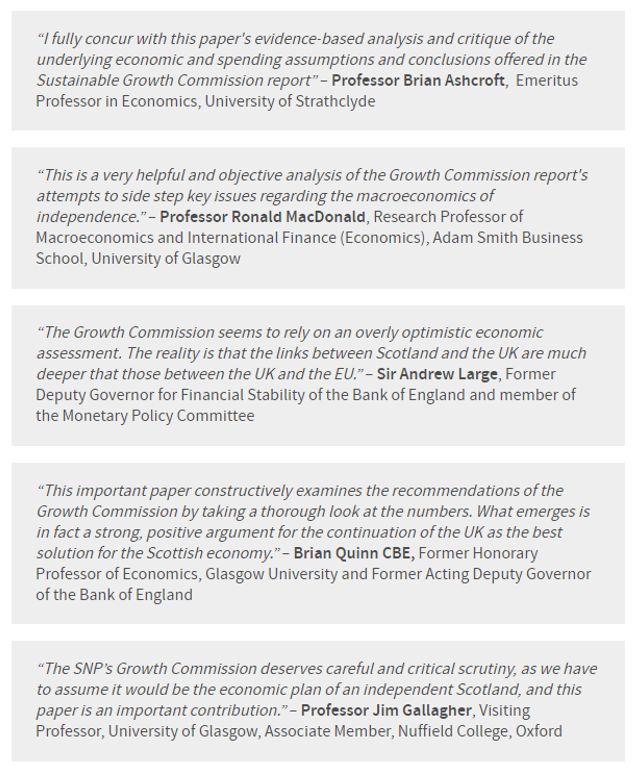 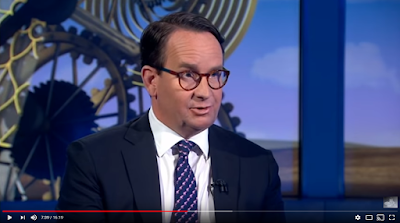 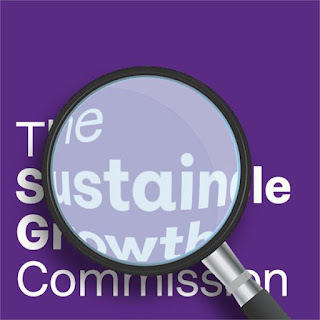 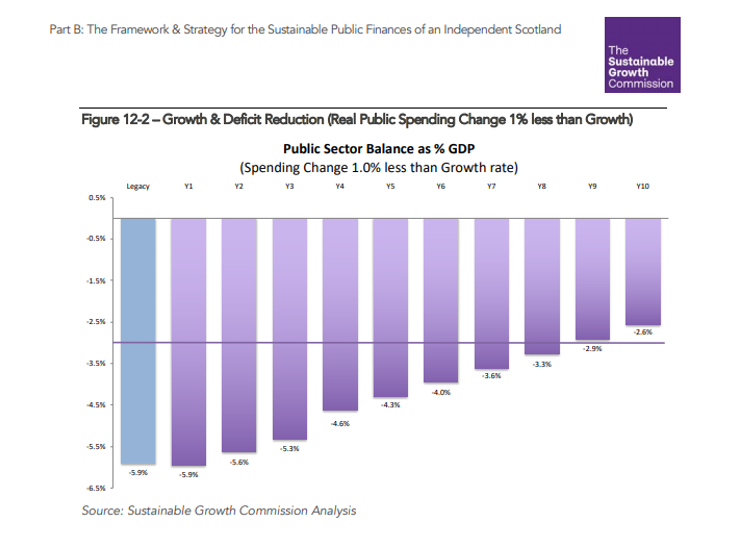 On this blog I took care to respond to specific Growth Commission claims, recommendations and analyses as these were revealed - the paper offers a more considered view. 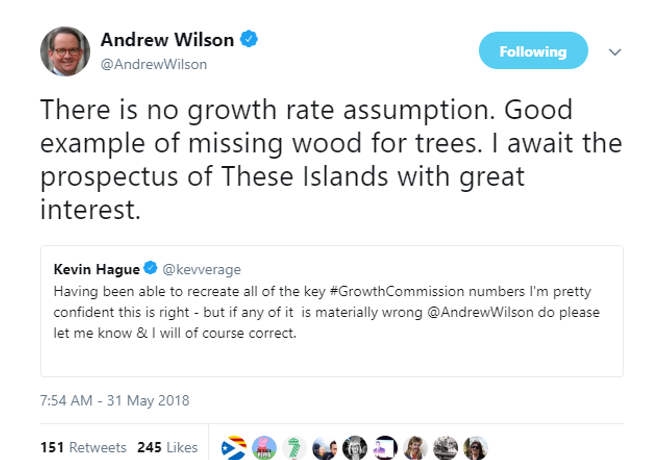 If the angry swarm of cybernats on Twitter would do the same, they'd avoid making the rather embarrassing mistake of attacking the paper as the ramblings of a "dog food salesman" - it has not only passed review by the These Islands advisory council but has been explicitly endorsed by highly respected economists. 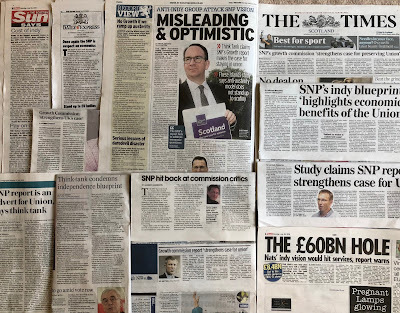 I also appeared on BBC Radio Scotland's Good Morning Scotland [listen from 1:48:30 here] to (frustratingly briefly) discuss the paper. 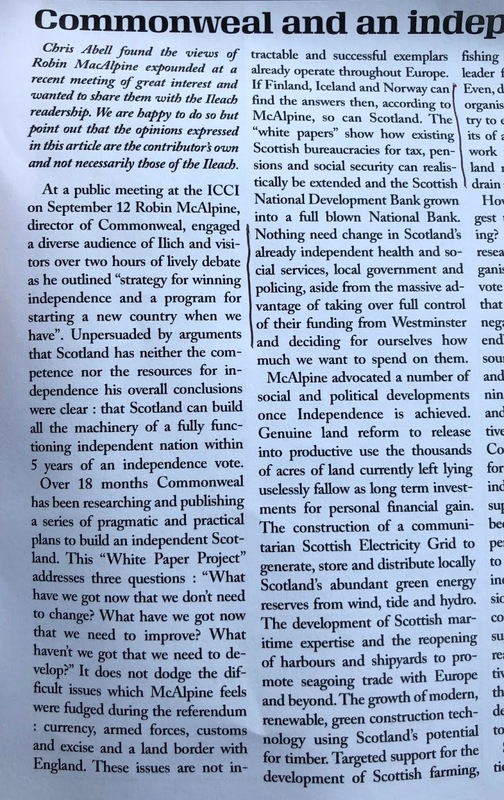 Unbeknownst to me, SNP MP Kirsty Blackman was allowed an unchallenged reply and I was given no chance to rebut her claims. For the record: she shouldn't really be dismissing analysis endorsed by the people above as "nonsense" and her claims about pensions and HS2 costs were just a re-run of tired and discredited arguments beloved of GERS-deniers. 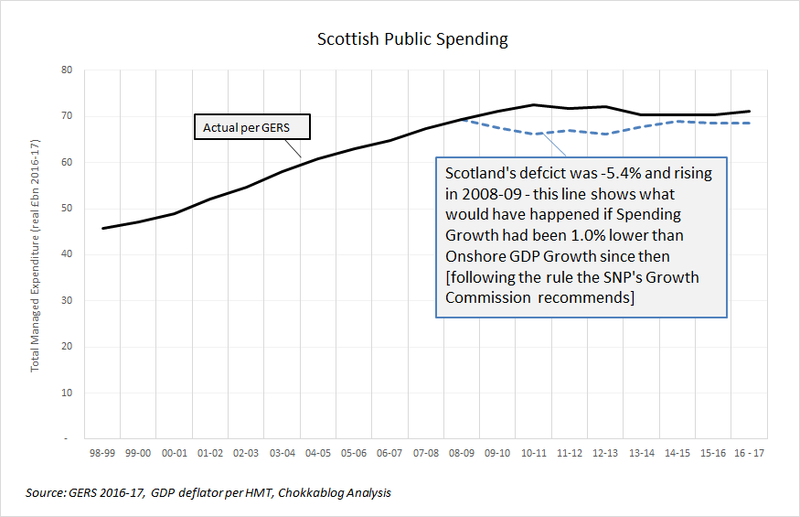 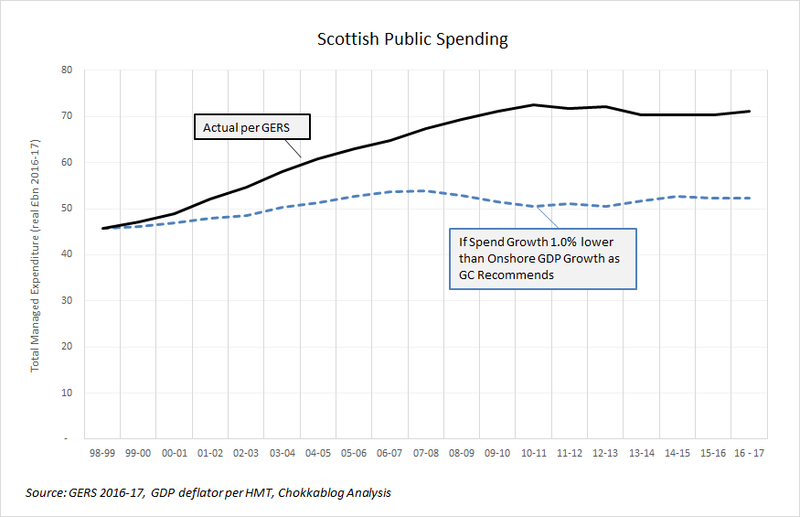 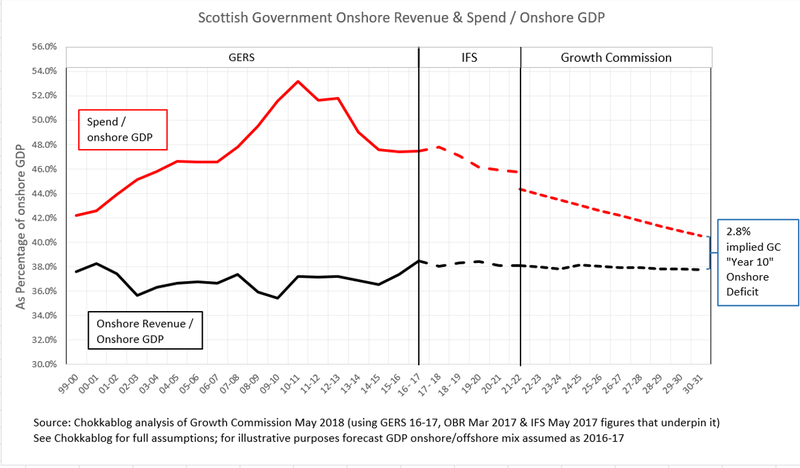 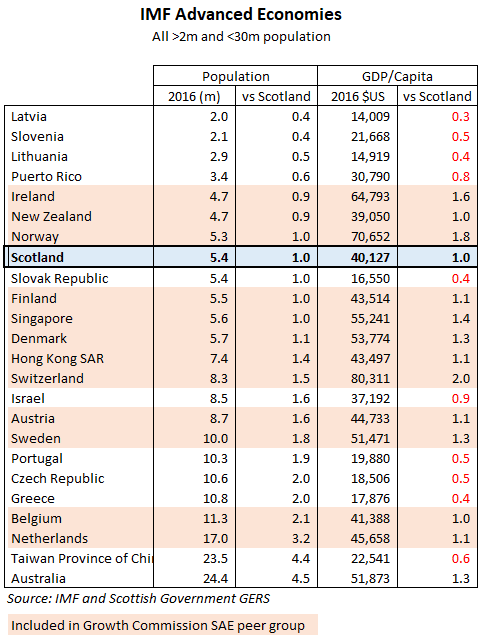 If she's right about Scotland subsidising UK pensions in the GERS figures (she isn't) then it's really weird that the Growth Commission didn't pick this up during its two year gestation period (they didn't, because it isn't so). 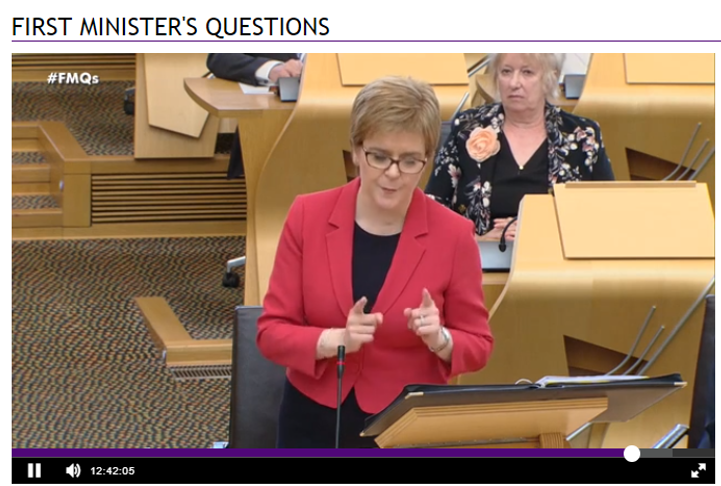 It looks likely that Ms Blackman agreed to appear on condition of responding to me but not debating. 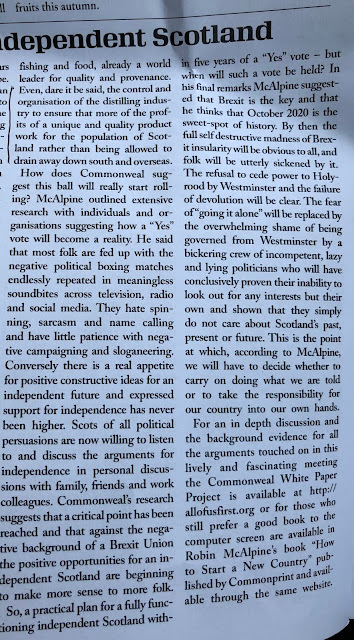 This is a presumption on my part, but if I'm right it suggests a rather strange approach to "opening up debate". 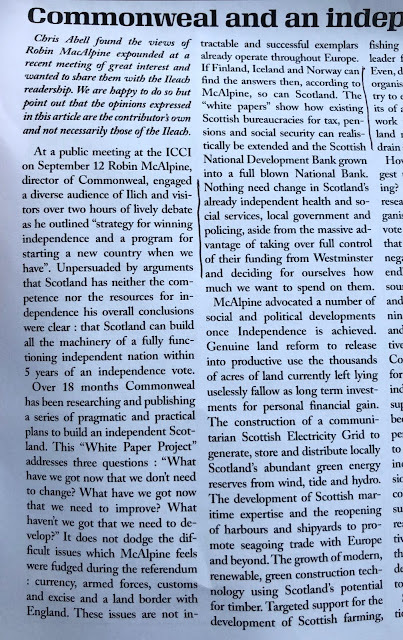 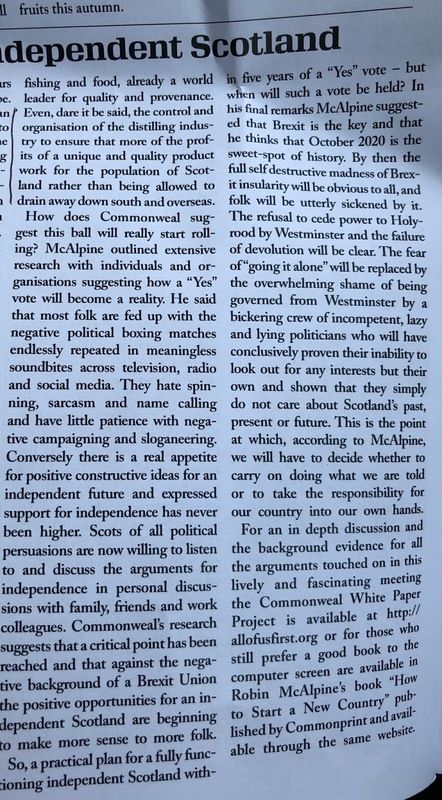 I also had a piece published for the New Statesman (which was their "most popular" the day it was published) - I encourage people interested in the nature of political debate in Scotland to read it. 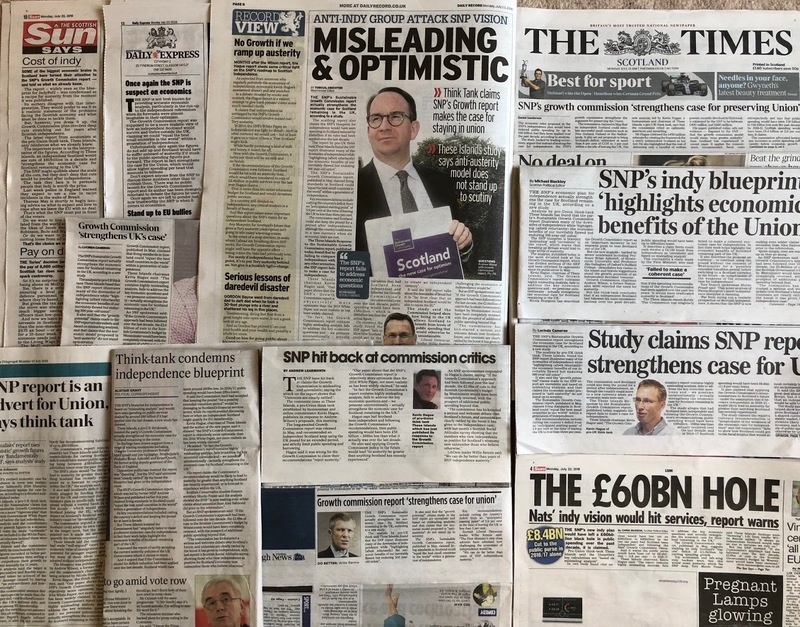 The social media reaction to all of this has been predictably depressing, with an onslaught of personal attacks against me from people who clearly haven't even glanced at let alone read the paper or its endorsements (just google "dog food salesman" if you fancy a laugh). 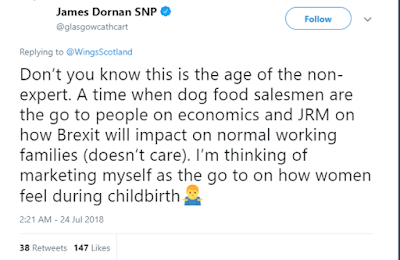 Zoomers are gonna zoom, but a couple of more high profile reactions are worth highlighting. 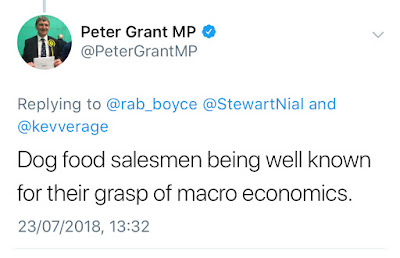 This from SNP MP Peter Grant is - well - "interesting"